Fun Friday Happenings in Seattle! 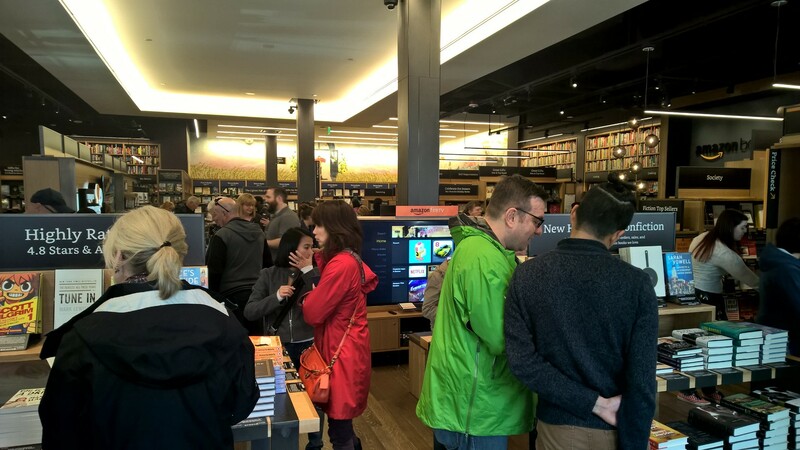 Despite a busy work day on Friday, I managed to squeeze in some shopping at the new and “only one in the world” Amazon Bookstore at University Village that just opened up and then joined the “IT” crowd at the Seattle Art Museum REMIX event in the evening. Fun in Seattle despite a dreary day! 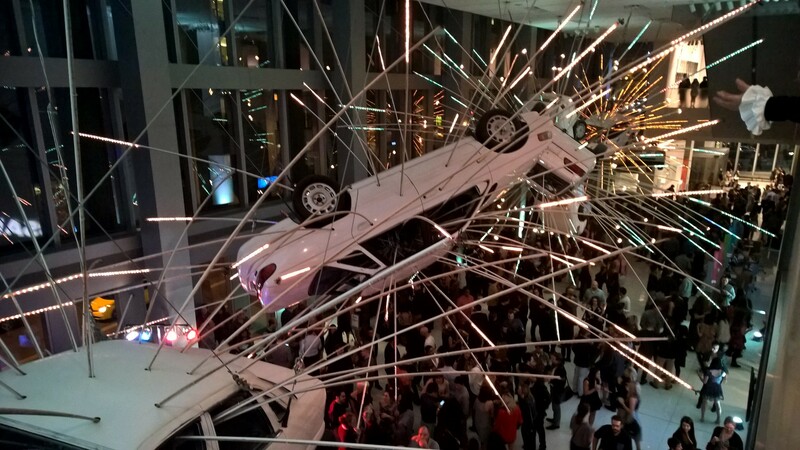 Seattle Art Museum REMIX Event on Friday night-dancing, art and music! What’s not to like? While working at UV, my team and I tried to get into Din Tai Fung for lunch but to no avail–still widely popular (also in China!) this dumpling superstar restaurant had a one hour wait time at 11:30 a.m. just after opening. WTF!!! They’re good but they’re just pork dumplings people! Okay for tourists and leisure shoppers to wait it out but, on a work lunch hour, not so much for us. So we traipsed across the street to another place that probably loves being so close to Din Tai Fung because it gets people like us who can’t wait. After some lovely fish tacos, I just had to check out the Amazon Bookstore that was all the rage in recent national headlines. Thom shared with me some source that quipped, “first they killed the bookstore and now they’re wearing their dead skin”– pretty graphic but true. As most online retailers are learning, you can make a lot of money online but it doesn’t replace the experience of being able to serve customers face-to-face and hear their feedback. 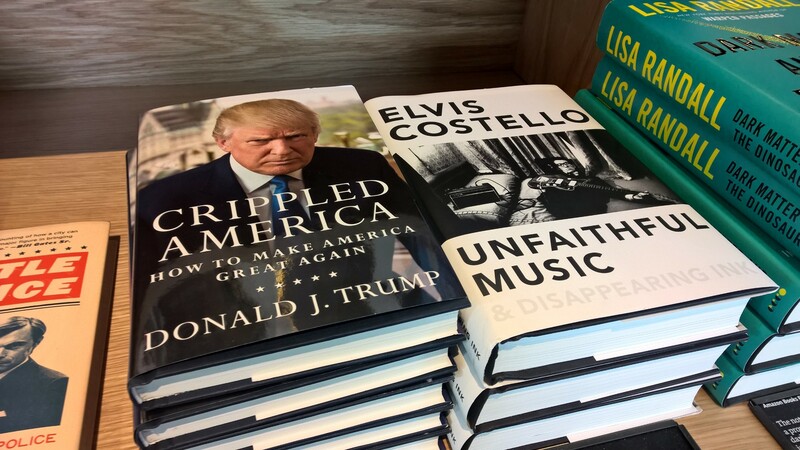 The Amazon bookstore is not a comfortable place-no overstuffed chairs or cafés like Elliott Bay Bookstore, my favorite on Capital Hill, though they do have ledges by the window to perch on uncomfortably while checking out the merchandise. Message here is: stay but not too long-buy our stuff and get the hell out for the next customer. Their hardware takes up the center of the store, Kindles and such, but the true star of the store is the authentic, not electronic, books that beg to be bought and curled up with on a rainy Seattle day. 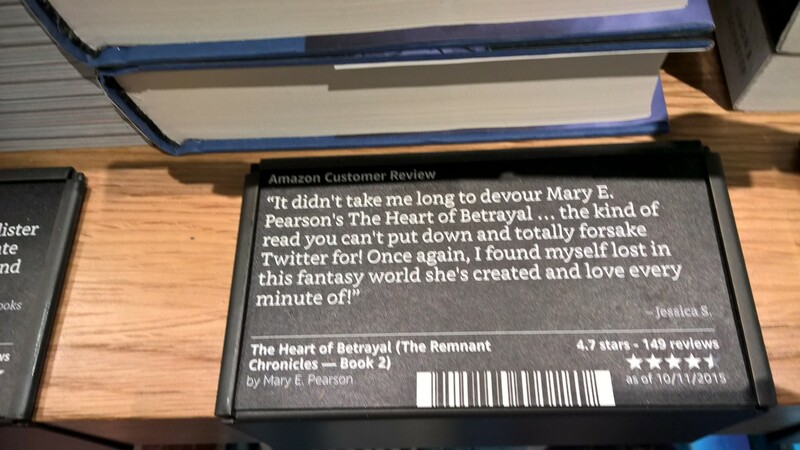 I actually liked how the signs for each book feature a customer review and their endcaps have delightful curated selections like “if you like George R.R. Martin, try these” or “if you enjoy series, try these” which helps guide voracious readers like me who are always looking for new material to consume. I finally had to put a halt to my Amazon Kindle book habit as it was costing $100ish a month. I turned to the Seattle online library lending of Kindle books which, while not a huge assortment, still helps feed my reading habit for free. Reading is one of life’s pleasure however you enjoy it but there is nothing better than a cozy bookstore–just don’t go to the Amazon bookstore if that is what you want. Try Elliott Bay or Third Place Books! On to the evening’s entertainment! After work I trotted home and changed into my evening attire to check out the Seattle Art Museum REMIX scene. I found out about it through a Meetup group I joined, Seattle Arts & Culture Events, that lets you know about cool stuff happening around town. We got a $5 discount on the $25 tickets for the 8 p.m.-midnight event “after hours” at the museum. We showed up around 8ish and there was line stretched down the block to get in-what a crowd! This is definitely a place to go not only with a date but also to meet and greet new people, i.e. pick up someone. The crowd (about 2500 people, mainly 20-30ish crowd) was dressed to the nines-we even saw a stylish guy with the whole pirate ruffled shirt thing going on paired with a jacked and jeans. Somehow he pulled it off! Kudos to him! While the majority of the guys were still rocking jeans and major plaid, the ladies were going all out with dresses and fierce heels. Very rarely have I seen such a display of fashion in Seattle. Loved the people watching! Renoir’s portrait of Monet, my favorite artist. What is REMIX? A packed house for the quarterly event enjoying adult arts & crafts, bands, drinking (on the lower level only away from the masterpieces) and celebrity-led tours. 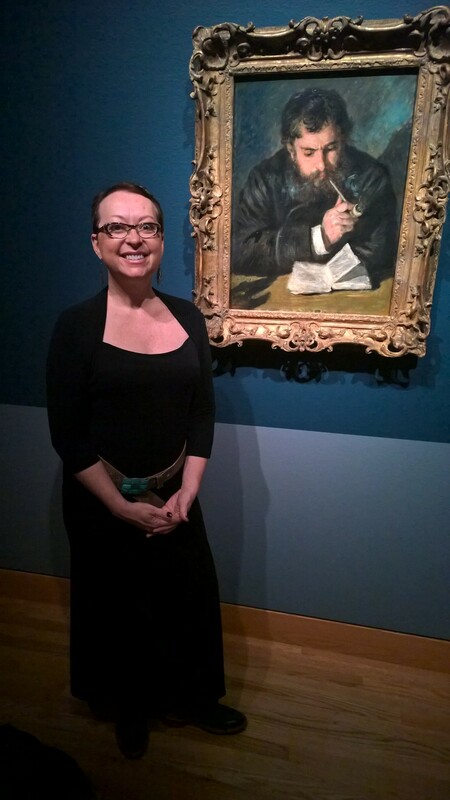 We joined Lorrie Cardoso, founder of our meetup group, as she led us around sharing her favorite and least favorite pieces of art. 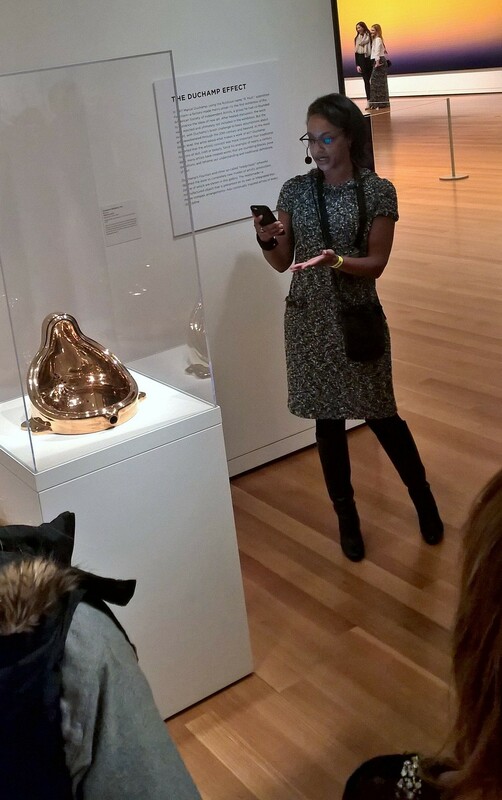 She was not a huge fan of the golden urinal in the Modern section of the museum. Agreed. We had planned to enjoy the Impressionist exhibit anyway so this gave us new perspective with her guidance. Since most of the pieces in this collection are from the National Museum of Art in DC, we had already seen them but Monet, Renoir, Van Gogh, etc. never disappoint no matter how many times you are lucky enough to view them. We were probably the first to leave around 10 p.m. just as the dancing was getting going but it had been a long week and we had a long walk home on a beautiful fall evening. So thankful, as always, that we live in a great town and are able to enjoy wonderful experiences. Florence and Joe…what a week in Seattle!